You love when your kids nap in the car. You hate when their heads are slumped over, bobbing to and fro, landing in crazy positions. Reaching back to adjust them while driving distracts you, taking your eyes and focus off the road. NoBob provides peace of mind to the driver in the form of a helpful, cuddly new friend for kids. 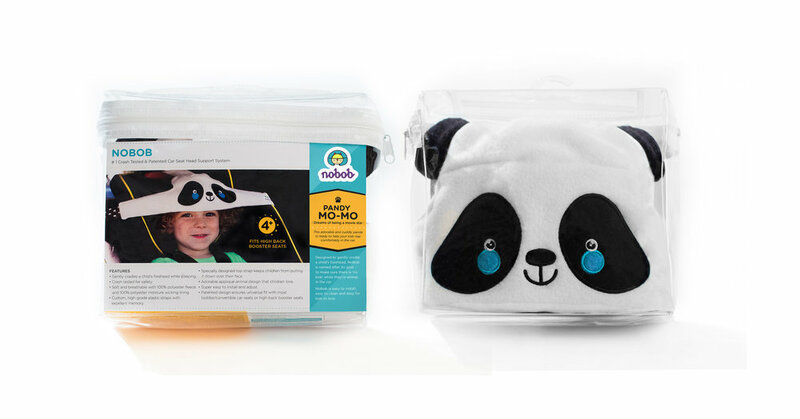 Designed to gently cradle a child's forehead, NoBob is named after its goal - to make sure there is ‘no bob’ while they’re asleep in the car. NoBob is easy to install, easy to clean and easy for kids to love. BobStop, LLC is pleased to announce the issuance of United States Patent 9,371,018 to Didi Friedman, inventor of the NoBob product. This first patent is directed to various aspects of the NoBob product and recognises the uniqueness and utility of the NoBob product. Other patent applications directed to the NoBob product are currently pending.